Stuttgart spreads across a variety of valleys, parks, and hills--many of them covered by vineyards. Take a break from the city and head to Unterstmatt and Eninger Weide. Get a sense of the local culture at Old Town and Würzburg Residence. Change things up with these side-trips from Stuttgart: Margarethenschlucht (in Neckargerach), Heidelberg (Heidelberg Castle (Schloss Heidelberg), Carl Theodor Old Bridge (Alte Brucke), & more) and Wurzburg (St. Peter, St. Michael's Church, & more). 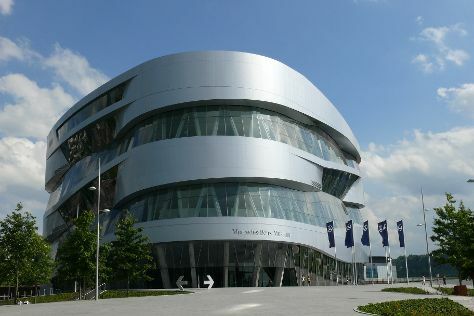 There's much more to do: make a trip to Mercedes-Benz Museum, examine the collection at Museum Frieder Burda, head outdoors with Michaelsberg, and take in the awesome beauty at Merkur. For ratings, traveler tips, maps, and more tourist information, read our Stuttgart trip builder tool . If you are flying in from Brazil, the closest major airports are Stuttgart Airport, Karlsruhe Baden-Baden Airport and Memmingen Allgau Airport. Expect a daytime high around 5°C in January, and nighttime lows around -1°C. Finish up your sightseeing early on the 13th (Wed) so you can travel back home.